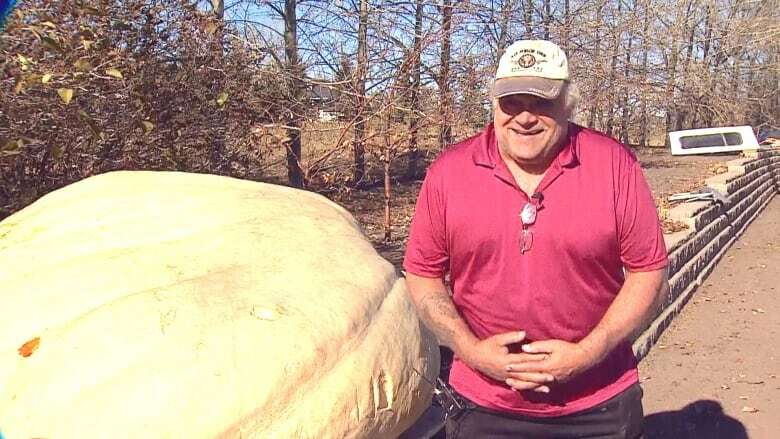 This might be the largest soon-to-be-carved pumpkin in Canadian history and it’s on its way to Edmonton to raise funds for a children’s charity, Battle of Alberta style. 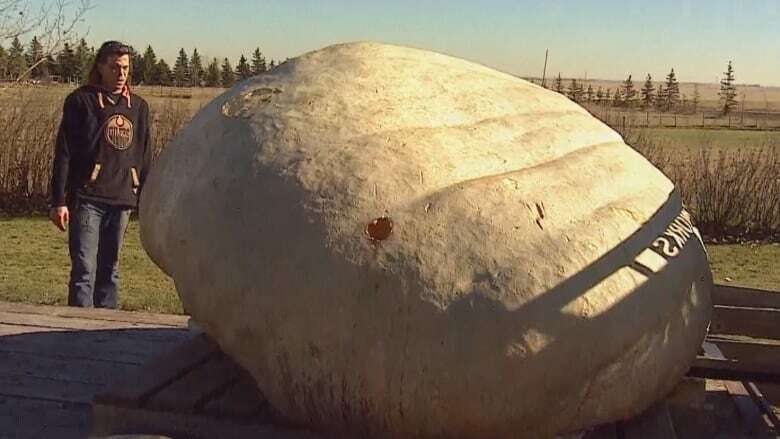 This might be the largest soon-to-be-carved pumpkin in Canadian history and it's on the way to Edmonton to raise funds for a children's charity, Battle of Alberta style. 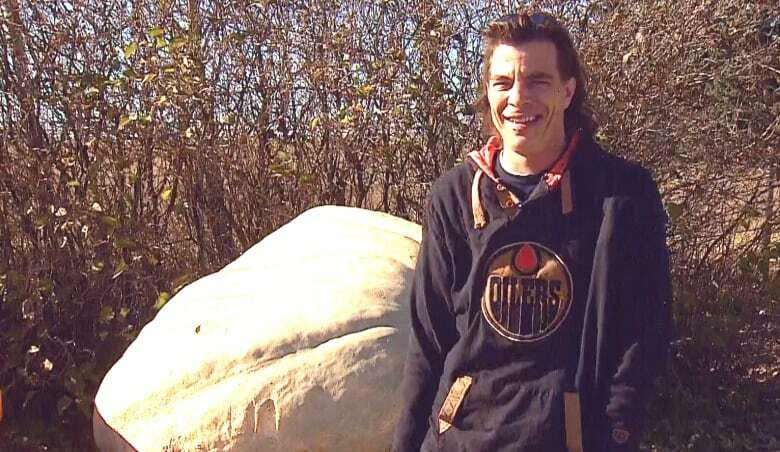 The 1,884-pound pumpkin will be carved either in a Calgary Flames or Edmonton Oilers theme, the professional carver told CBC News Tuesday. "I'm just going to make a really savage jack-o'-lantern," Robbie Beniuk said. Beniuk is now based in Ontario but has Alberta roots and some might say a vested interest. "Basically, whatever city raises the most money, I'm going to theme this thing to their NHL team. It's going to be themed to the Flames glory, with the Oilers crushed in its jaws, guts everywhere, or it's going to be Edmonton. I'm impartial," he said, while sporting an Oilers jersey. The voting and fundraising is online but ends Oct. 28, and the money goes to Little Warriors, a Canadian charity that works to prevent and treat child sexual abuse. The huge pumpkin also represents a bit of a challenge to its custodian. "Some people golf. Some people fish. I grow pumpkins," pumpkin grower Eddy Zaychkowsky said. While Zaychkowsky didn't grow this specific pumpkin, he is somewhat of an expert in the field. "They said you can't grow pumpkins in southern Alberta. It's a desert. I remember those words, yes," he said. "So 17 years and a potload of money, and here we are. We can do it." Zaychkowsky says there's a lot of work that goes into it. "We fertilize these to the point where anything else would die, but these absorb it, and they take it. When these pumpkins are in their prime, they'll gain 60 pounds in a day, in 24 hours, religiously," he explained. "This is our hobby. This isn't a business. We do it for the charities, and for the kids." You can learn more about this particular Battle of Alberta here.